Watch Mr. Pure Energy, Gary Valenciano, STEPS Dance Studio, and Jonalyn Viray in a musical performance on December 12, 6 p.m. at The Terraces as they reintroduce traditional Filipino games to a new generation through music and the arts. “Awit at Laro”, the brainchild of Valenciano and Bambi Mañosa, aims to raise funds for UNICEF, the Tukod Foundation and the Shining Light Foundation. Enjoy up to 70% off at the mall-wide Christmas sale from December 14 to 16, and take your time as Ayala Center Cebu extends its mall hours on December 14, 10 AM to 12MN, and December 15 to 20 from 10 AM to 11 PM. 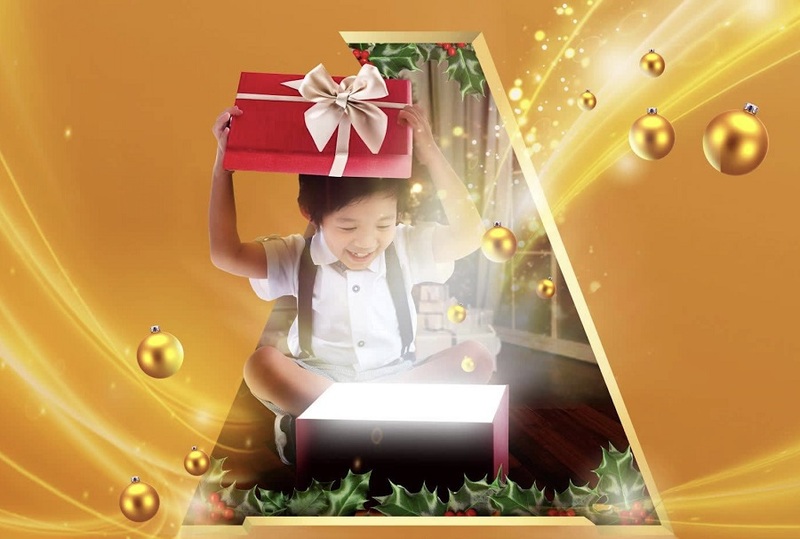 Spread the holiday cheer to more little ones with gifts and toys from Rustan’s and Toys R’ Us. Purchase a toy and give to a child through UNICEF and Kids 4 Kids. Kiddo members who present their purchase receipt at the Kiddo booth gets a special exclusive Christmas gift. Get in the holiday mood by singing and prancing along to favorite Christmas tunes every Monday, Wednesday, and Friday of the month until December 21, from 6 p.m. to 8 p.m. at Level 4 near Mismukuno. Sing-along with various choir groups as they fill the air with popular Christmas carols and medleys every Tuesday and Thursday starting December 4 until December 20 from 6 p.m. to 8 p.m. at Level 1 near H&M and Oh Georg! Kids get a chance to meet the red-suited jolly old man and check out his naughty or nice list every Saturday and Sunday of the month from 4 p.m. to 5 p.m. at The Gallery. Glide on the Christmas Mall Parade every Sunday from December 2 around the mall. Don’t miss out the Christmas Mall Parade every Sunday around the mall from December 2. Timezone will be leading the parade together with the Brown Academy of Music members. Kiddo members may join by signing up at the Concierge near Guess to get special treats! Bring the whole family and delight in “Reimagine the Magic: A Festival of Lights”, an audio-visual display featuring illuminations twinkling and dancing to popular Disney songs. Catch the display every 30 minutes from 6 p.m. to 9 p.m. until January 20, 2019, at The Terraces. Awaken amazing experiences this season and partake in the spirit of giving and fun at the region’s premier lifestyle destination. For the latest updates, like Ayala Center Cebu on Facebook at www.facebook.com/AyalaCebu or follow @AyalaCenterCebu on Twitter and Instagram. For inquiries, please contact the Ayala Center Cebu Concierge hotline at (032) 888-3790 or 266-2535.